Farro is one of my new food obsessions. Like Brussels sprouts and beets before it, my food obsessions are not normal (I mean, why not Nutella? ), but there is something so tasty and satisfying about farro that I can't get enough of it right now. If you're not super familiar with farro-- which I wasn't until very recently-- it's an ancient grain used frequently in Italian cooking. 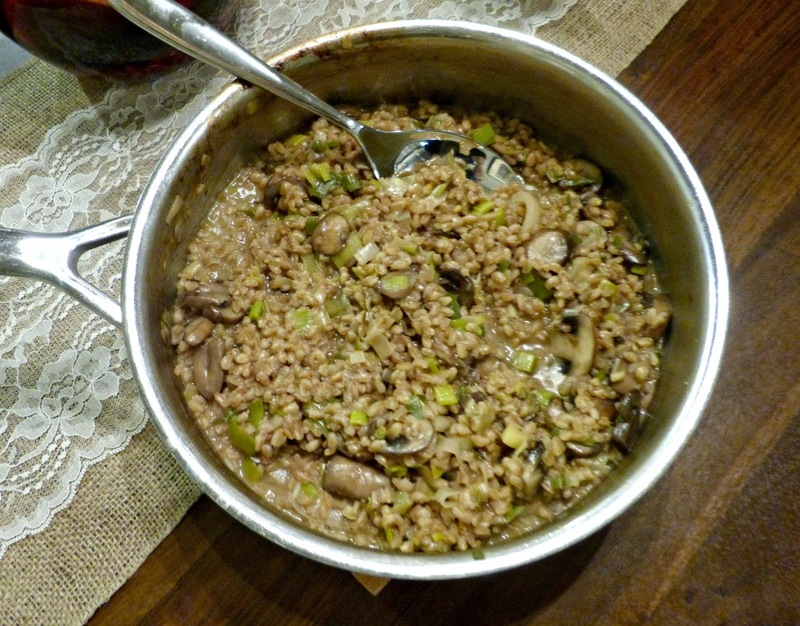 It resembles brown rice and when cooked, it has a great nutty flavor and chewy texture. 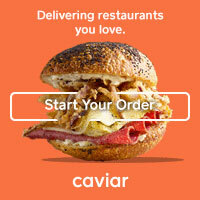 It can be boiled and served like rice or pasta or prepared risotto-style-- slow cooked while stirring in broth to create a rich and creamy texture. And that was exactly what I did here. For a recent girls' night, I decided to make a healthier post-holiday meal since we were all feeling a bit sluggish. I decided we'd go vegetarian for the night and this mushroom & leek farrotto was the perfect entree for filling us up without any meat. 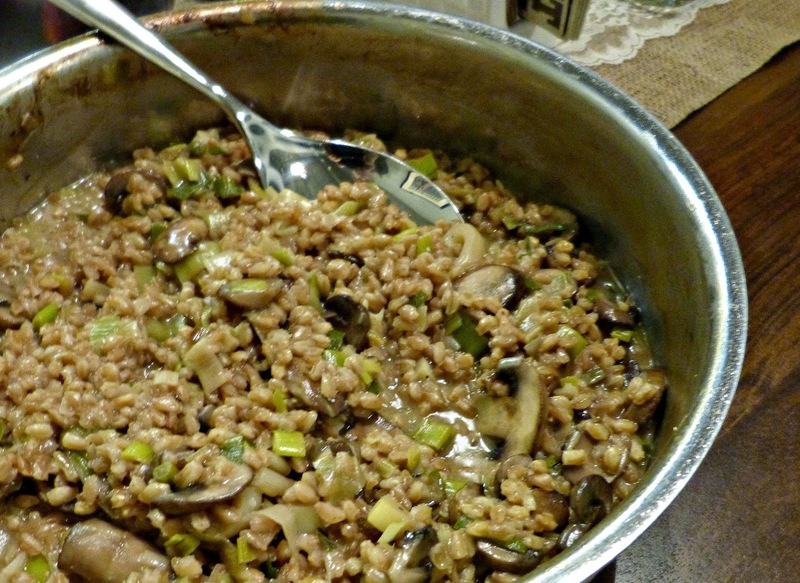 The mushrooms in this dish pair so nicely with farro because they both have that earthy umami quality about them. I also added leeks here because I like that they have a fragrant onion-y flavor, but they hold their texture through the cooking process a bit longer than onions or shallots. A little fresh thyme and grated Parmesan pulls this delicious meatless meal together. This is a fabulous meatless entree, but it would also be a perfect savory side dish for chicken or pork too. In a medium saucepan, bring broth just to a simmer. Cover and keep hot over medium low heat until you are ready to use it. Heat a large saute pan over medium-high heat. Add 1/2 Tbs. each butter and oil. Add mushrooms and thyme to the pan along with 1/4 cup of wine and saute for about 5 minutes, stirring frequently. Once the mushrooms have softened and most of the liquid has evaporated, transfer to a bowl with a slotted spoon and set aside. Add remaining olive oil and the butter to the pan and adjust heat to medium. Add the leeks and saute until tender (not brown), about 5 minutes. Add the farro and stir to coat. Pour in the remaining 1/2 cup of wine and simmer, stirring until it has almost completely evaporated, approximately 3 minutes. Add 1/2 cup of broth and stir constantly until the broth has almost completely absorbed, for 2-3 minutes. Continue stirring the farro and repeat the process of adding 1/2 cup broth at a time. Allow each 1/2 cup of broth to absorb before adding the next. Pour in the last 1/2 cup of broth along with the sauteed mushroom mixture and continue stirring to cook until the farro is chewy and firm. Remove from the heat. Stir in the grated cheese and season with salt and pepper. Transfer to serving bowls and serve immediately.